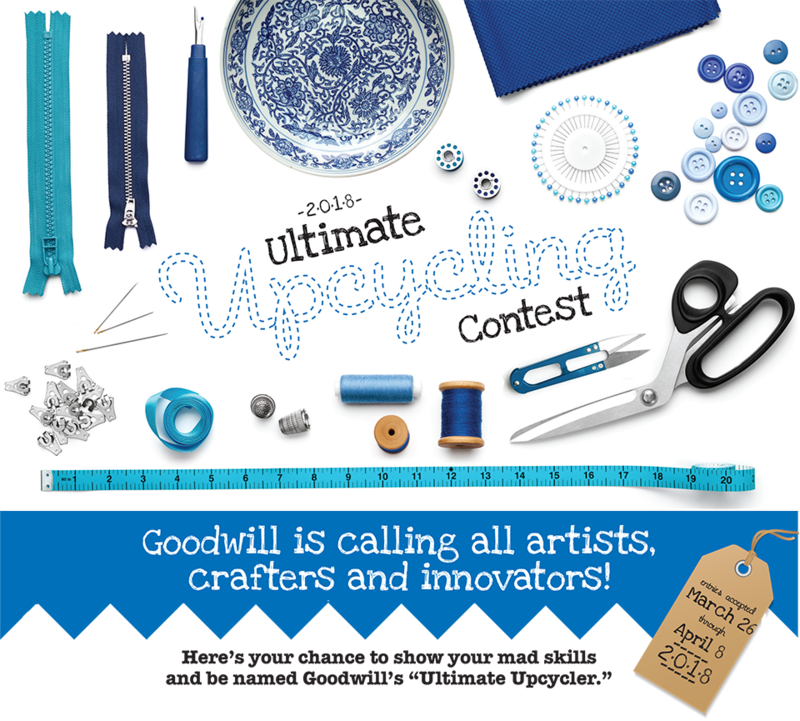 Goodwill's 2018 Ultimate Upcycling Contest is Going on Now! Use your imagination to create the winning project. Whether you have a knack for textiles and fabric, mechanicals or hardware, use those skills to convert an item into one of higher quality or different use. After all, that’s what upcycling is all about! 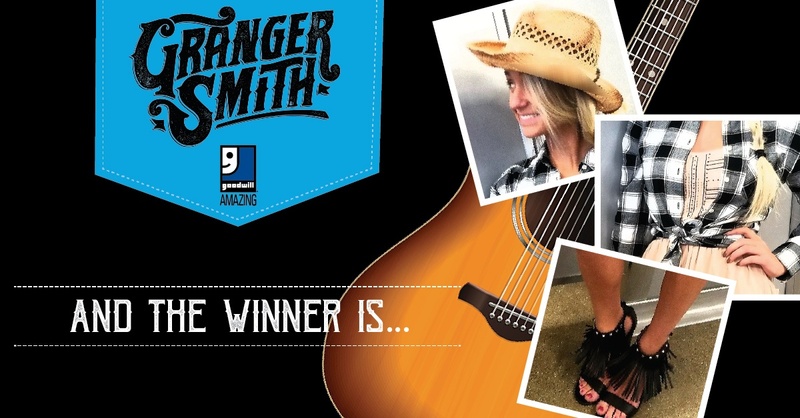 Winner Announced in "Gear Up with Granger Contest"
Our winner the Gear up with Granger Contest is ... Tristan G! 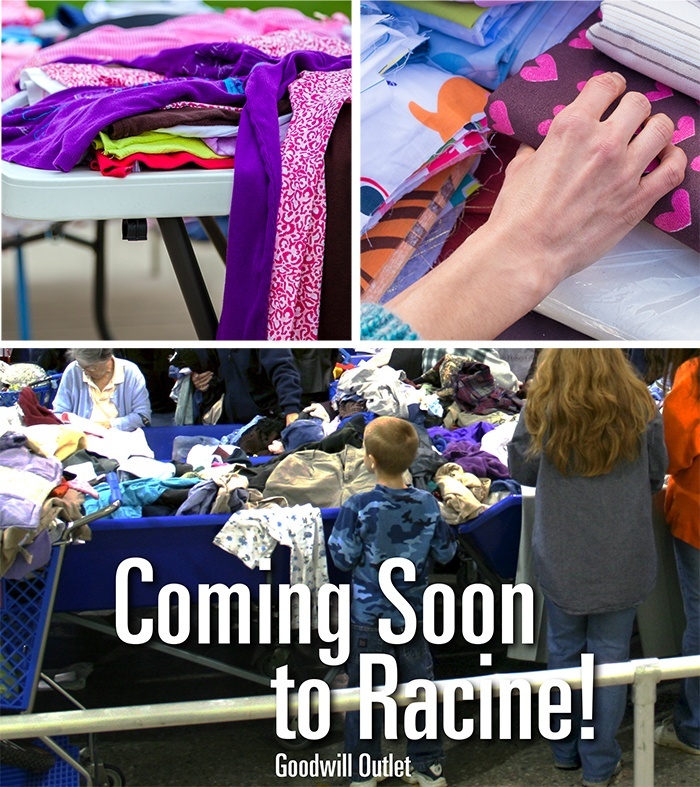 Goodwill is looking to fill positions at the new attended donation center in Glenview! No matter what job you have at Goodwill, you’ll be part of a team that makes a positive impact in the lives of individuals, their families and the communities where we operate. Are you ready to be transformed? The Goodwill Outlet store offers a unique shopping experience featuring fresh product on the floor, with constant turnover, approximately every 30 minutes. Shoppers will enjoy the large sales floor, wide aisles and excellent lighting. Customer Appreciation Day is March 15th! That's right, on the 15th of every month we celebrate YOU—our Club Goodwill REwards members! So show yourself some love and shop Goodwill on March 15th and save more when you spend more! Spend $15, save 15%. Spend $20, save 20%. Spend $25 or more, save 25% on your total purchase! 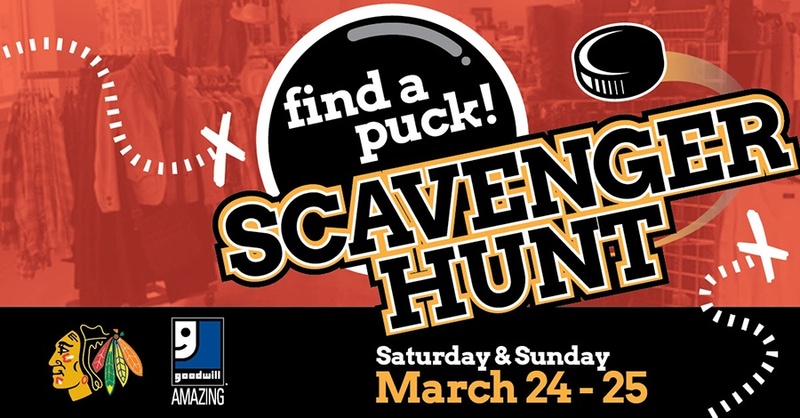 Join the Blackhawks Find a Puck Scavenger Hunt at Goodwill! Who doesn't love a good scavenger hunt (and the Chicago Blackhawks)? Head to any of the forty-one Chicagoland Goodwill locations on Saturday, March 24 & Sunday, March 25 to find one of ten coded Blackhawks hockey pucks hidden somewhere inside the store. Then, bring the puck to the check-out register (purchasing the puck is not required) to receive a Blackhawks hat, as well as an opportunity to enter the Chicago Blackhawks & Goodwill Scavenger Hunt Sweepstakes! (Only those who locate a puck may enter the Sweepstakes.) Those who locate a puck must complete an official entry form and other required paperwork to officially enter. Celebrate St. Patrick’s Day in style! 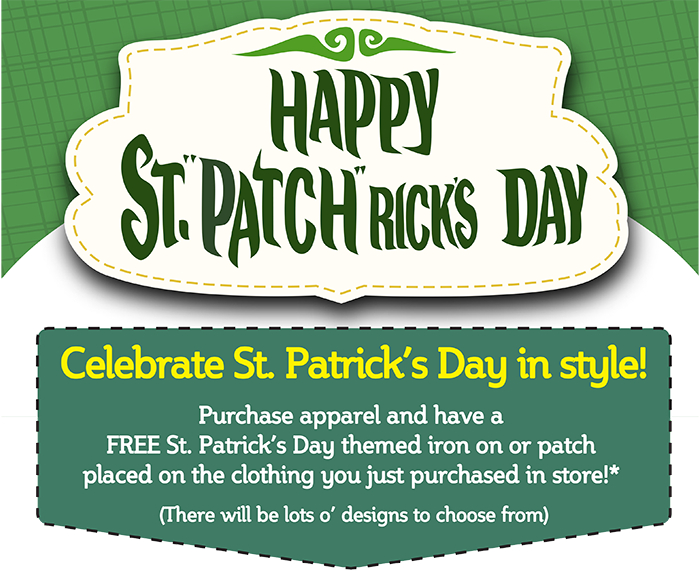 Stop by the select Goodwill Store & Donation Centers during the dates and times listed below, purchase apparel and have a FREE St. Patrick’s Day-themed iron-on or patch placed on the clothing you purchased! 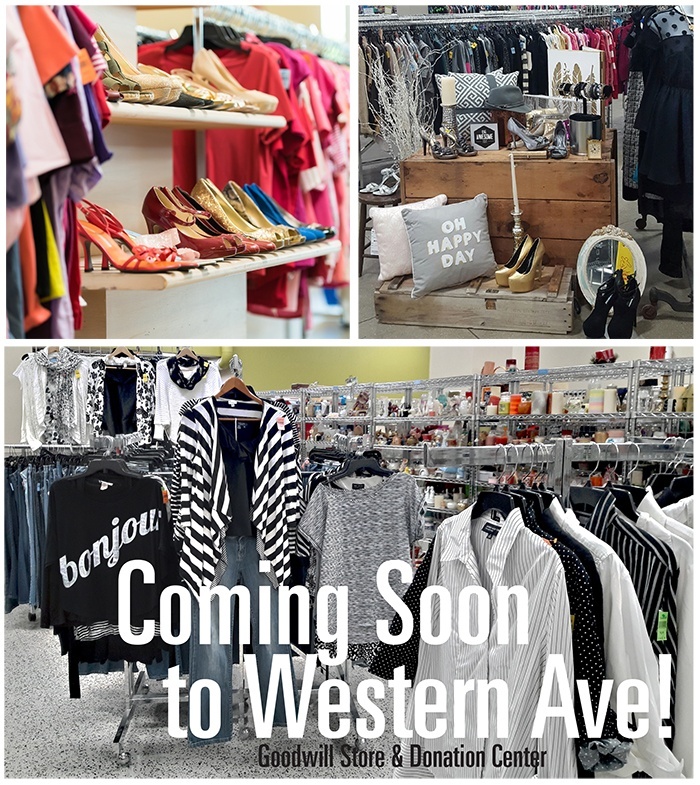 That's right, our newest Goodwill Store & Donation Center is coming soon to Western Avenue in Chicago! Goodwill is a great place to work and we're now hiring for retail supervisors and team members! 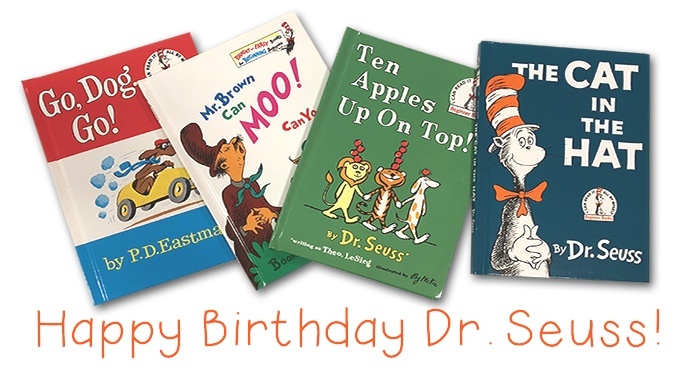 Celebrate Read Across America Day at Goodwill! Who doesn't love a good book? And, who doesn't love a good book that costs $1.99 or less? That's right, all books at Goodwill cost $1.99 or less every day, so if you're looking for an inexpensive way to celebrate Read Across America Day on March 2, why not visit Goodwill and check out everything our shelves have to offer? And, don't forget, we LOVE donated books, too!